Organometallic Complexes of Pyridines and Benzannulated Pyridines, Alexander Sadimenko. 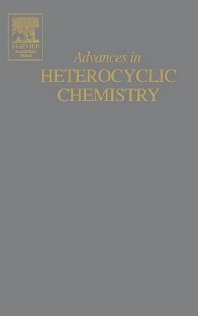 Established in 1960, Advances in Heterocyclic Chemistry is the definitive serial in the area, one of great importance to organic chemists, polymer chemists, and many biological scientists. Written by established authorities in the field, the comprehensive reviews combine descriptive chemistry and mechanistic insight and yield an understanding of how the chemistry drives the properties.